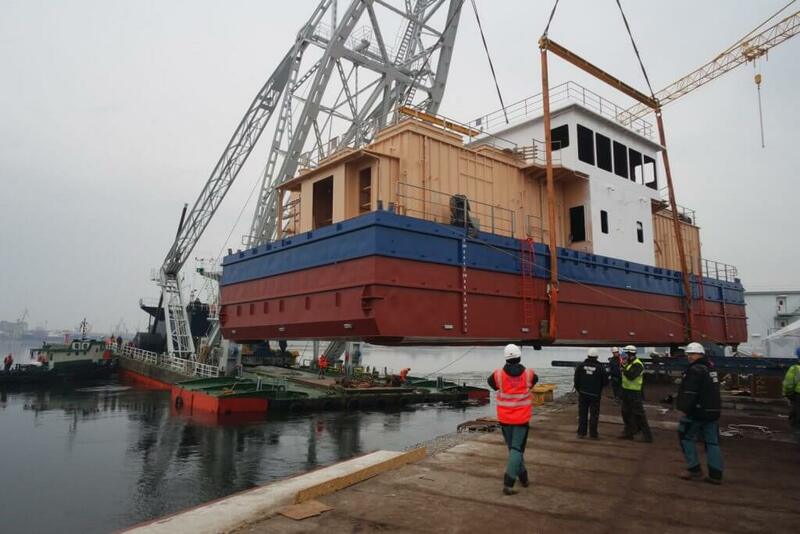 Launching of Feed Barge (F5008) - Poltramp Yard S.A.
We are pleased to announce the launching of Feed Barge (F5008) took place in our shipyard (Świnoujście) on Monday, 12th of March. The Buyer is Fluctus AS (Norway), highly experienced company at the field of aquaculture industry. Copyright (c) Poltramp Yard S.A.